Logins this hour: 4790 ? Amion is excited to announce a partnership with TigerText, a leader in secure mobile messaging for healthcare systems. With the TigerText SAAS solution, hospitals deploy their own end-to-end encrypted, private mobile network, addressing a growing need for hospitals to control the texting of sensitive personal health information. "Amion delivers messages to mobile devices and TigerText provides an extra layer of security. 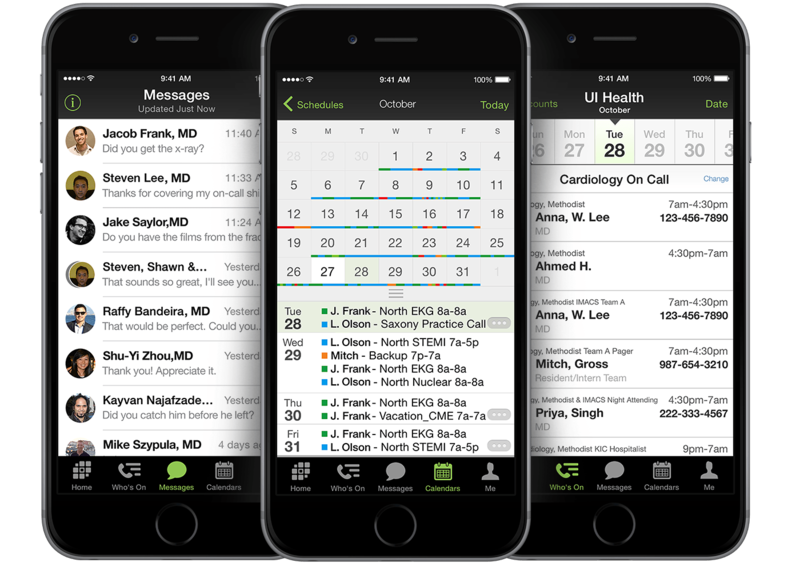 Physicians won't have to limit the patient information they put in texts," said Stuart Karon, founder and owner of Amion. "We are excited to work with TigerText for Amion customers who want that extra security and the ability to confirm messages were received and read." "We are thrilled about the technical integration with Amion," said TigerText President and Co-Founder Brad Brooks. "TigerText now offers hospitals a seamless and natural extension to Amion's industry-leading software. Our customers, as well as Amion's, have been asking us to bring our services together to reduce risk of compliance violations." The Amion setup is easy. Your Amion administrator simply adds the TigerText server name to Amion's carrier preferences. For phones configured with TigerText, Amion sends messages through TigerText instead of as a regular text message through the wireless carriers. For more information contact Amion at carol@amion.com (888.898.0779 x.3) or TigerText at amion@tigertext.com.